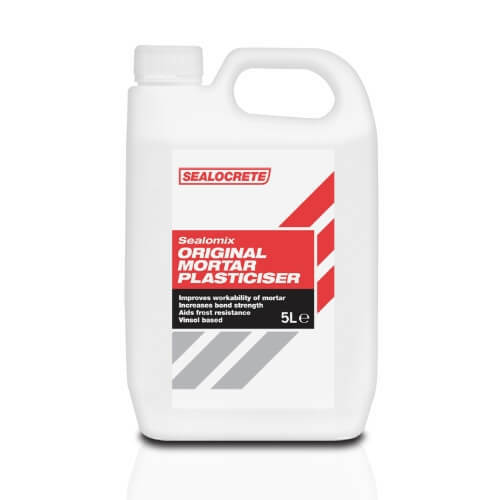 Sealocrete Sealomix is a mortar plasticiser designed to improve workability and plasticity of cement mortar. With a degree of frost resistance in set mortar, it helps to prevent cracking and crazing. It can also be used in concrete to improve frost resistance but should not be used in structural concrete. For internal and external use. Complies with EN 934-3.